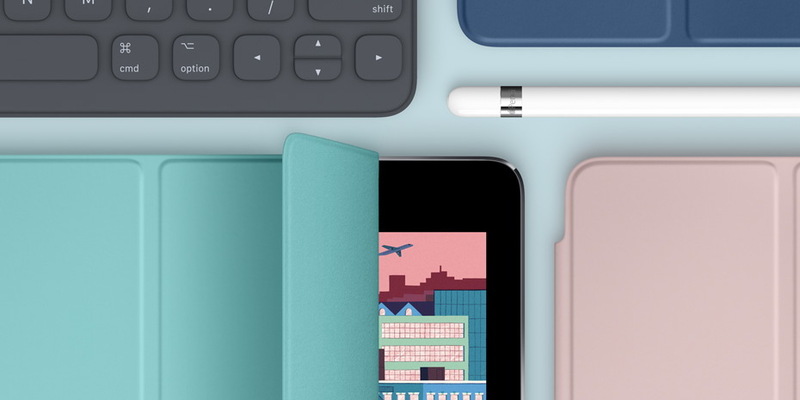 At least one manufacturer of iPad accessories is supposedly already preparing multiple folio cases in various colors for the unannounced tablet. Whereas new information on the hotly anticipated iPhone 8 has been steadily making more and more headlines, Apple's plans to revamp the iPad Pro series of tablets have been comparatively quieter. Earlier rumors about an official reveal in March or April have been proven false, so these latest leaks should again be taken with a grain of salt. 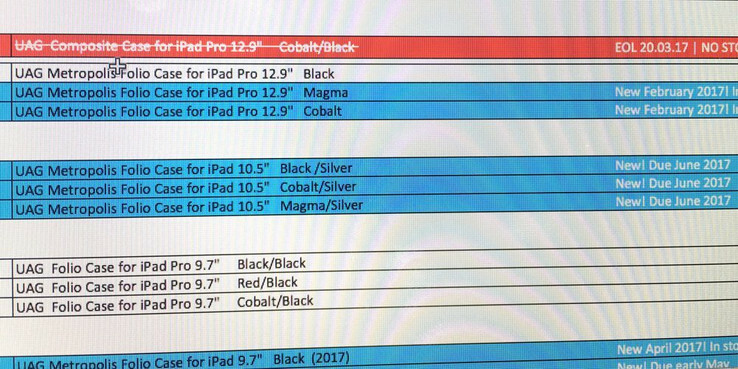 With this in mind, a leaked retail image from Urban Armor Gear (UAG) shows that a new series of 10.5-inch iPad Pro could be coming in the next couple of months. 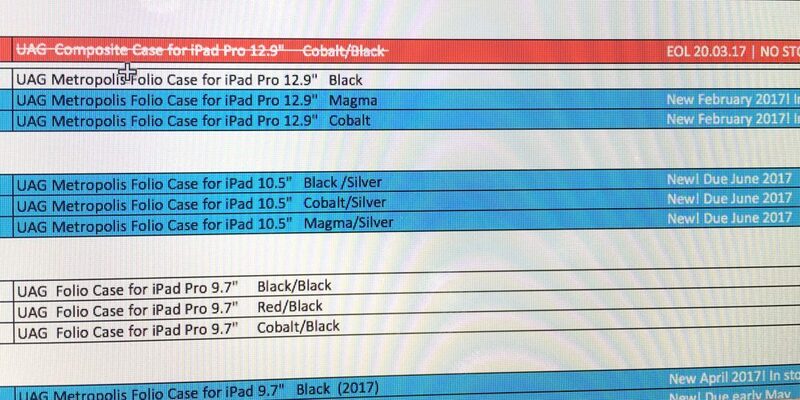 UAG specializes in accessories for tablets and smartphones and so the screencap below supposedly shows three new upcoming tablet covers in Black, Cobalt, and Magma colors for the rumored iPad Pro 10.5. Since Apple is skipping its "Spring iPad event" this year, the Cupertino company may instead announce the new iPad Pro 10.5 at this year's WWDC 2017 early next month. The iPad Pro series is already available in 9.7-inch and 12.9-inch screen sizes and both are some of our highest scoring tablets in our database. A theoretical 10.5-inch model would be the middle-ground solution, but its overall market impact would be questionable as Apple has been slowly losing ground to other manufacturers in the tablet space.